If you are always looking for something different, unique and individualistic, head straight to Happily Unmarried. Started by a bunch of extremely creative youngsters, Happily Unmarried is forever stocked with tongue-in-cheek boxers, t-shirts and sweat shirts, flippant bar accessories like coasters, openers, shot glasses etc., funny home accessories like cushion covers, nameplates, etc., handbags, stationery and a number of miscellaneous items. This site is a great place to hunt for some memorable gifts. And if you want to save money, keep an eye on this page to get all the latest and best Happily Unmarried deals and discounts. 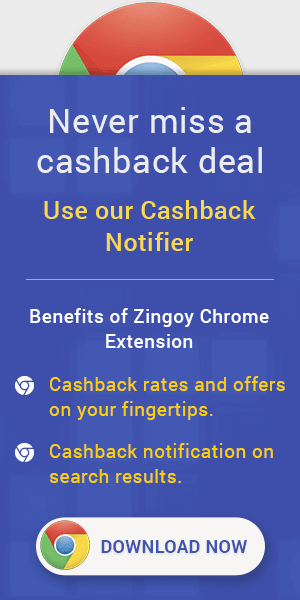 Zingoy also gives you big cashback on everything you or your friends decide to buy from Happily Unmarried. Happily Unmarried does not help with missing cashback issues. Happily Unmarried supports tracking only on website and mobile site. Earnings from Happily Unmarried can be redeemed as vouchers or in Bank account.